The Pennsylvania state government says that a major oil and gas pipeline company, currently building a network of pipelines in the state to transport fracked gas and chemical byproducts from the fracking, has failed to take responsibility for an explosion that destroyed a house and other property last year. Energy Transfer Partners is the Texas-based pipeline magnate that built its crude oil pipeline through the Standing Rock Indian Reservation in North Dakota. The Standing Rock Sioux and other tribes who descended on the reservation in late 2016 famously convinced the Corps of Engineers to halt a key construction permit, though the move was only temporary. The Dakota Access Pipeline went back online under Trump and has been in operation for two years. 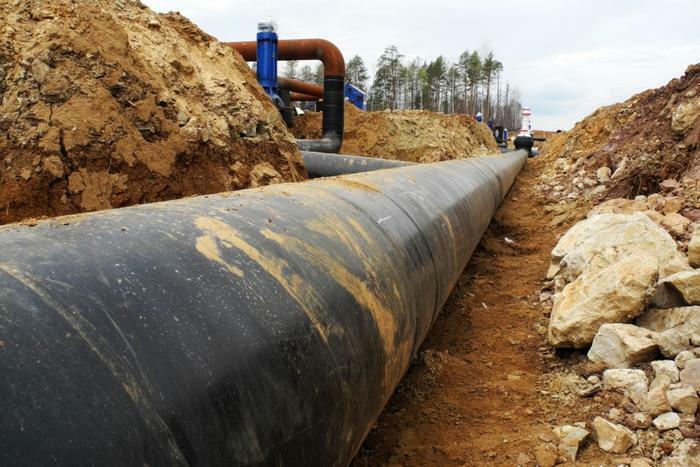 Energy Transfer Partners has also kept busy building new pipelines in Louisiana, Texas, and Pennsylvania over the past few years. Lawmakers in Pennsylvania and elsewhere had been welcoming of the projects, granting permits even over the objections of local activists who cited environmental concerns similar to those that the Standing Rock Sioux raised. But things went downhill in Pennsylvania on September 11 last year. The Revolution Pipeline, a project run by Energy Transfer Partners subsidiary Sunoco, had only been in operation for a week when a fire erupted in Beaver County, destroying a home 500 feet away from the blast. “An initial site assessment reveals evidence of a landslide in the vicinity of the pipeline,” a Sunoco spokesman told a local newspaper. Because oil and gas pipelines are known to cause landslides, state officials said that it was up to Sunoco to find a way to stabilize the areas that had been disturbed during construction. Sunoco needed to prevent further erosion, per state government instructions. The state even gave Sunoco an October 29 deadline to fix the erosion problems. But Energy Transfer Partners failed to meet the deadline, the state says. The Pennsylvania Department of Environmental Protection announced last Friday that the company had failed to control erosion or stabilize the problematic areas. As a result, Energy Transfer Partners is suspended from obtaining new permits in the state, though its projects that are already permitted remain unaffected for now. “This action does not affect the operation of any of our in-service pipelines or any areas of construction where permits have already been issued,” she added.